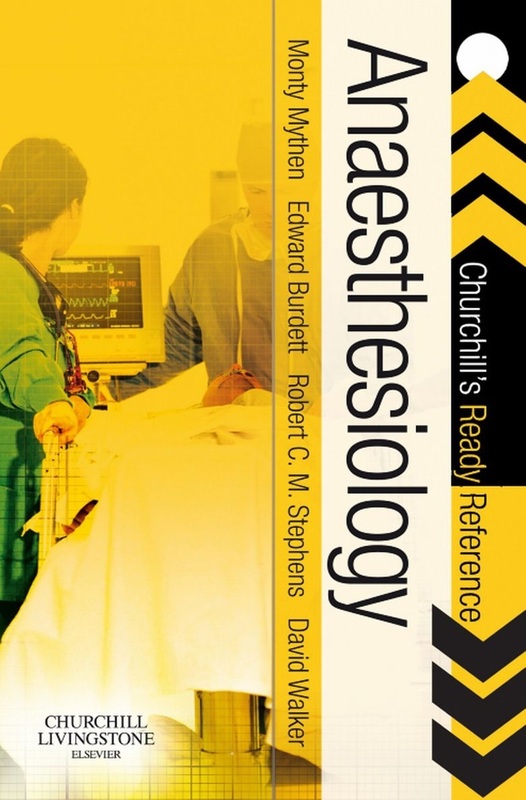 You can download Anaesthesiology Churchill’s Ready Reference by David Walker, Edward Burdett, Michael (Monty) Mythen, and Robert C. M. Stephens free in pdf format. Anaesthesia: Churchill's Ready Reference provides a practical compilation of investigations to assist in the everyday clinical management of the peri-operative and critically ill patient, and the parturient. In this volume, the authors have included an abundance of diagrams, figures, and tables that they find helpful in understanding some of challenges and conditions frequently encountered in this area of medicine and it is to be hoped that the volume will guide clinicians in the diagnosis and management of common conditions encountered on a daily basis in this area of practice. This book is not meant to replace larger, more complete textbooks, but to complement them and will be useful at the bedside, in the office and for teaching. Anaesthetists are faced with an ever-growing body of investigative and therapeutic options and it is increasingly difficult to keep up with the wide spectrum of information required for them to perform optimally in day-to-day practice. Anaesthesia: Churchill's Ready Reference will provide all of the information required to help with everyday practice and covers the full range of tests and investigations that the anaesthetist may come across in a handy, pocketbook format.